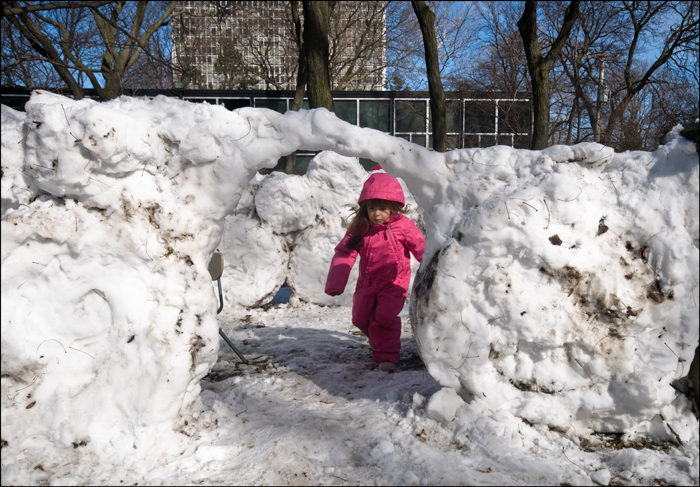 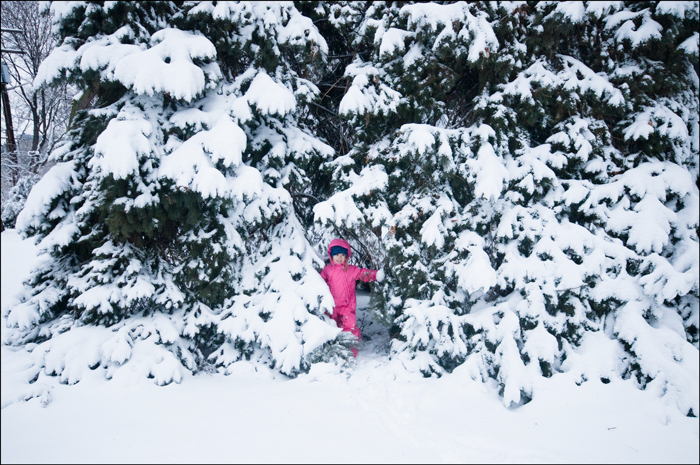 This is the snow fort. 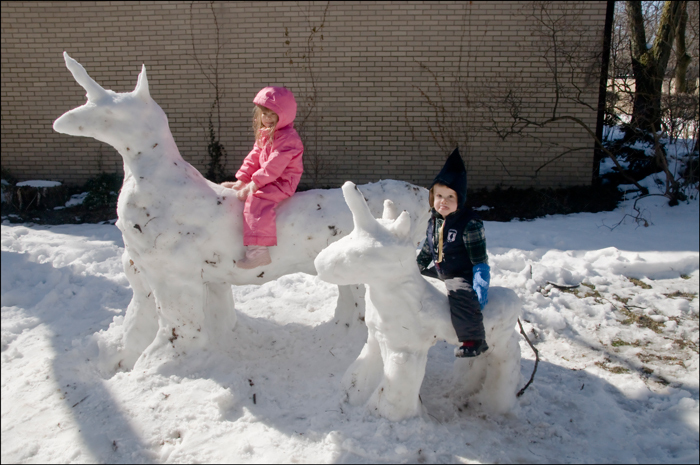 It had a toilet, a slide, and after a few days we turned it into an Egyptian tomb with a snow mummy inside, two snow jackals guarding the door, and a snow Sphinx off to the side. 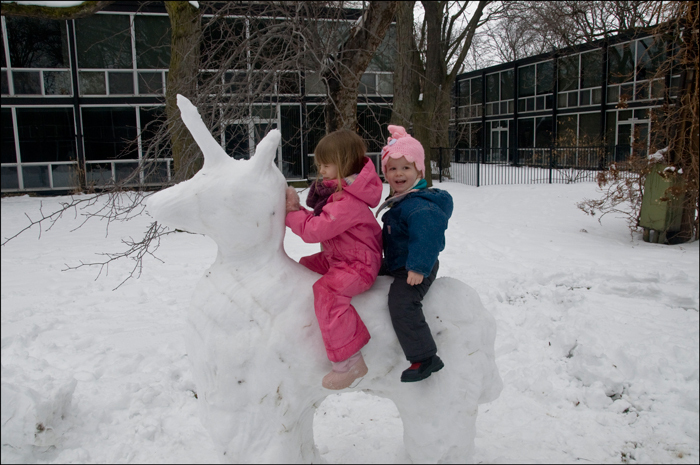 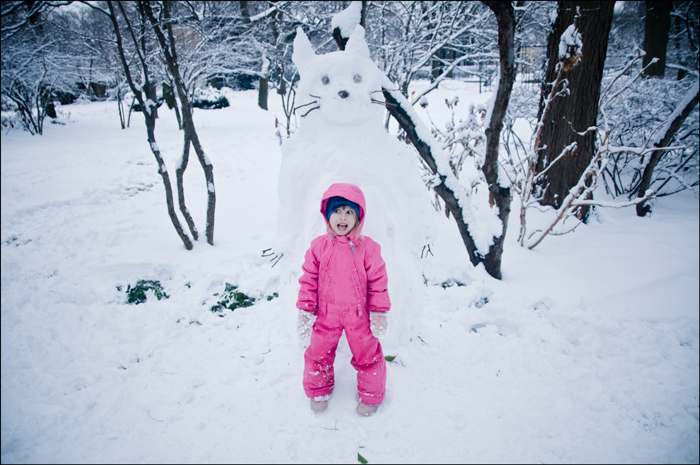 Just two of many snow unicorns made this winter.